The latest versions of Android are Android 8.1 and Android P (which is in preview and is assumed to be Android 9). One of FireMonkey’s target platforms is Android and it makes things much easier to access all of the goodies that Android has to offer with proper Object Pascal interface files. 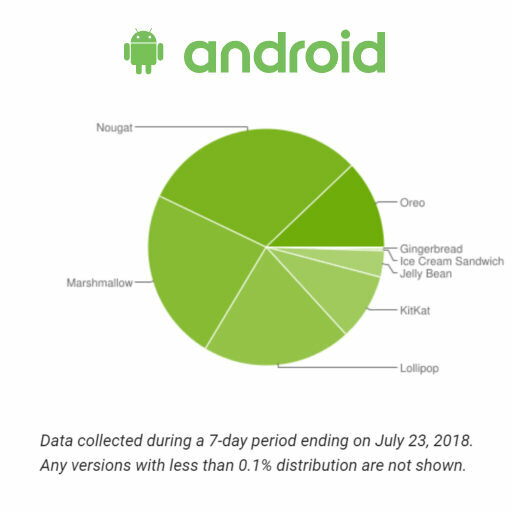 The API version of Android 8.1 is 27 and the API version of Android P is 28. As previously published I have provided Object Pascal interface files for the entire Android SDK from API version 10 to API version 26 over on Github. I used Java2Pas and Java2PasMerge to generate new Android interface files for Android 27 and Android 28. Java supports circular references while Object Pascal does not so Java2PasMerge combines the circular references into single files. The Android 28 interface files give you access from Object Pascal to things like android.net.wifi.rtt.WifiRttManager, android.view.DisplayCutout, android.graphics.drawable.AnimatedImageDrawable, and android.text.PrecomputedText. Keep in mind that at this time in mid 2018 the number of users with Android API level 27 is only 2% and Android API level 26 is 10.1%. If you want to take advantage of these new APIs most end users don’t have access to them on their own devices yet. However, if you are building enterprise level apps with FireMonkey and you control the devices that your users will have you can easily take advantage of these new features with these Object Pascal interface files. If you are targeting Android 8 with Delphi be sure to check out this other post as well. Head over and check out all of the Object Pascal interface files for Delphi FireMonkey on Android.